Dominic Casey, the Anthony family private investigator and one time bodyguard for Casey Anthony has never wavered in his belief 2yo Caylee Anthony was alive and worked hundreds of hours trying to find her. However in mid-November almost a month before Caylee’s remains were found, he searched an area on Suburban Drive, 14 houses away from the Anthony home. Some people speculated that he did find her and failed to report it. Since then he has vehemently denied finding Caylee’s remains before she was officially found on December 11, 2008. Another PI Jim Hoover working for the Anthony’s tagged along in the search. 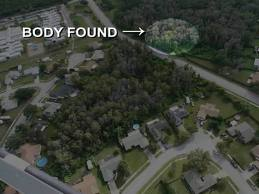 It was later rumored in the media that it was Casey Anthony’s attorney Jose Baez who had actually sent Dominic Casey to this area and was told to call him first if he found Caylee’s remains. On November 15, 2008, while Dominic Casey was poking and prodding the dense woods of 8905 Suburban Drive with a stick in one hand and a cell phone in the other, Jim Hoover video taped the entire ordeal. On the other end of the cell phone was Psychic Ginnette Maticia Lucas who had a vivid dream the night before and had described a wooded area to Dominic. Dominic Casey says this was the first and only time he had ever looked for a deceased Caylee. In my opinion, Ginnette Lucas’s description matched the area where childhood friend Kio Cruz claimed she and Casey Anthony used to hang out in their early teens. This explains why Dominic Casey hurriedly went to this particular area. As we know through documents, he was seeking help through psychics to find Caylee. It is also a known fact that PI Jim Hoover later tried to sell footage of this video tape to various media outlets. If in fact, Caylee’s remains were found, no doubt Jim Hoover would have been the first to report their finding. As noted in the video above, and later validated by Dominic Casey, they were close, but no Caylee. On August 18, 2008, Keith Williams who also had a psychic’s hunch found himself searching a similar area of Suburban Drive. 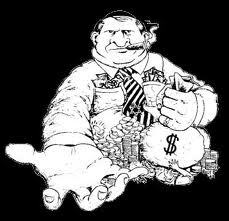 He politely knocked on the door of George and Cindy Anthony to show them what he had found in an empty lot just down the street from their home. He had found a Father’s Day balloon, a few pieces of children’s clothing, stuffed animals and a sandal. After the Anthony family showed no interest in these items, he later called law enforcement and a police report was made. Ironically Officer Richard Cain was the responding officer to both Keith Williams and Roy Kronk 911 calls in mid-August. Keith was close, but no Caylee. One of the volunteers, Laura Buchanan, of New Jersey, submitted a sworn statement that may provide ammunition for Casey Anthony’s defense. “On Sept. 3, 2008 … I personally searched near the privacy fence and worked my way towards, and then the spot, where the body was found. I did not notice anything unusual. I did not notice a strange smell. I noticed no buzzards, nor unusual animal or insect activity. Apparently, Laura Buchanan has a document to prove her claim however another TES searcher who was assigned with LB said they were on the Blanchard Park search team and not Suburban Drive. According to Lela Radojevic, Laura Buchanan was with her the entire day and did not leave when asked by Kathi Belich of WFTV. Since this story broke, State investigators are intensely trying to dismiss her claim calling her records a fabrication. Putting all the negative press aside, Defense attorney Cheney Mason is said to have a legitimate copy of it in the Equusearch records that proves she is telling the truth. Considering no one knows for sure as of yet and I have no reason to believe she’s a liar, I’ll add her to the list. Close but no Caylee, which brings me to Joe Jordan. Joe Jordan, another TES searcher made the following statement to Casey Anthony’s Defense team. c. Although I was in the area with over 30 people, only five to six volunteers and I searched the area by the stockade fence along the south side of Suburban Street near Hope Springs Street. Among the five to six volunteers with me were Danny Ibison and his dog and a Panama City Sheriff’s Deputy with one of his two dogs. The very same day that he signed this statement, Joe Jordan called the OCSO and spoke to Cpl Eric Edwards. He told Cpl Edwards that he was interviewed by a defense investigator that morning and had surreptitiously recorded the interview which is in violation of Florida Law. Since it was illegally recorded, SAO Drane Burdick couldn’t listen to it. For the purpose of this article, I’m adding Joe Jordan to the list. Joe Jordan was close but no Caylee. After Caylee Anthony’s remains were found December 11th on the west side of Suburban Drive, it was imperative for Det. Yuri Melich to interview Deputy Jason Forgey, a cadaver dog handler for OCSO. Detective Yuri Melich wrote this report. Deputy Jason Forgey and his cadaver dog had checked the east end of Suburban Drive in July so it was presumed that this area was also checked. This tip was cleared based on this. As a note, Deputy Forgey responded to the area where the body was found after its discovery and I asked if he had ever deployed his cadaver dog there. He said he had not, and they had focused their efforts to the east end of Suburban Drive and the area of the school, Corporal Edwards later interviewed Detective Jerald White regarding clearing this tip. This was a CYA maneuver by LE. It seems this area was ruled out because it was “presumed” it was cleared or at least, that’s what they want the general public to believe. I’m not one who does. Look what happened to Officer Richard Cain. He was fired for not finding Caylee so Deputy Forgey certainly knew what to say. “No, he didn’t clear the west side of Suburban Drive.” That’s his story and he’s sticking to it. It’s my opinion, that only an inept investigator would check one side of the street and not the other so I believe he did and came up empty handed. No Caylee. When Sgt. Richard Cain responded to one of three calls Roy Kronk made to LE in August 08, he didn’t see anything even though he was only 6 feet away according to Kronk. Cain was fired after the discovery of Caylee Anthony’s remains on December 11, 2008 for not following through. Two of Roy Kronk’s buddies who were with him in at the crime scene in August 08, David Deen and Chris Gibson didn’t see anything either. No Caylee. Thirty-two TES volunteers who searched this area of Suburban Drive in early September 2008, will all attest to one thing. They searched and didn’t find Caylee. The excuse will be water that inundated the area left by Hurricane Fay. Tim Miller did lose a 4-wheeler while attempting the search. He also said this was a “hot spot” which makes me wonder why it was never searched again by anyone, local law enforcement or the FBI. 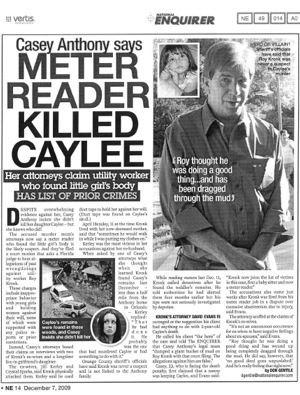 Roy Kronk is the meter reader who officially found the remains of Caylee Anthony on December 11, 2008. Kronk called law enforcement with tips in August 08 when he claimed he saw a partially submerged bag in the same area where the remains were found. Two LE officers responded to Roy Kronk’s tips in August. 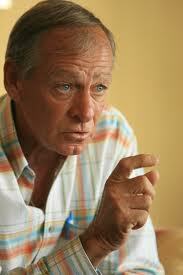 One was Sgt Richard Cain and later, a female officer who only talked with Roy Kronk. She left because she figured Cain has already cleared the area and found nothing. It should be an embarrassment to LE that Caylee wasn’t found in August 2008 if in fact she was there. So much information and forensics were lost. I can’t believe how lucky this was for Casey, Hurricane Fay, the lazy police officer, a corpse of a snake and a few other coincidences that have worked in her favor, forensically speaking of course. But maybe she isn’t lucky at all. Her beautiful daughter is dead, presumed murdered, she’s facing the death penalty and perhaps Caylee’s precious little body wasn’t there on Suburban Drive from mid-June 2008 as it is speculated by so many. Just maybe there’s something else going on in this case that no one saw coming.